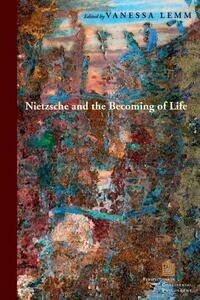 Throughout his writing career Nietzsche advocated the affirmation of earthly life as a way to counteract nihilism and asceticism. This volume takes stock of the complexities and wide-ranging perspectives that Nietzsche brings to bear on the problem of life's becoming on Earth by engaging various interpretative paradigms reaching from existentialist to Darwinist readings of Nietzsche. In an age in which the biological sciences claim to have unlocked the deepest secrets and codes of life, the essays in this volume propose a more skeptical view. Life is both what is closest and what is furthest from us, because life experiments through us as much as we experiment with it, because life keeps our thinking and our habits always moving, in a state of recurring nomadism. Nietzsche's philosophy is perhaps the clearest expression of the antinomy contained in the idea of "studying" life and in the Socratic ideal of an "examined" life and remains a deep source of wisdom about living.